As the job market becomes more competitive, fewer employers spend time reading cover letters, as they are usually able to make decisions based on résumés and interviews. However, when a potential employer or fellowship committee does request a cover letter, a candidate’s ability to express his or her ambitions, interests, and expertise can be a deciding factor in catching a reader’s eye. Paragraph 1: A short introduction that summarizes your relevant skills and experiences, and discusses why you are interested in this position. This paragraph should be between two to four sentences. Paragraphs 2-3: A background overview that goes into greater depth about your experiences. Since readers will have a copy of your résumé on hand, these paragraphs should provide new information and go into greater depth than your résumé. You may elaborate on the challenges and successes you encountered in your previous position, and link these experiences to your ambitions for your future career. Paragraph 4: Next, create a compelling argument for why you are a perfect fit for this position. What will you offer the company? What excites you about this line of work? How will your personality and ambitions fit with the company’s culture? This is where you make your strongest case for yourself as an individual, a leader, and a potential member of a new team. Demonstrate your knowledge of the company’s specific practices and goals, and express your enthusiasm for becoming a part of their team. Paragraph 5: A brief conclusion of about one to two sentences, thanking the reader for considering your application. Paragraph 1: Introduction in which the candidate expresses his interest in working at this school. The candidate writes that he has experience in the specific pedagogical philosophy that the school employs, and that his prior teaching experience has uniquely prepared him for becoming an effective teacher and enthusiastic faculty member. Paragraph 2: The first skill the candidate discusses is his flexibility in adapting curricula to meet students’ needs. By discussing how he successfully implemented a multi-modal approach in his previous position, the candidate demonstrates his commitment to teaching students of diverse backgrounds and interests. Paragraph 3: The second skill the candidate demonstrates is his aptitude and expertise in the subject matter. He references his post-graduate degrees and research, and shows readers that he is an expert in his field. 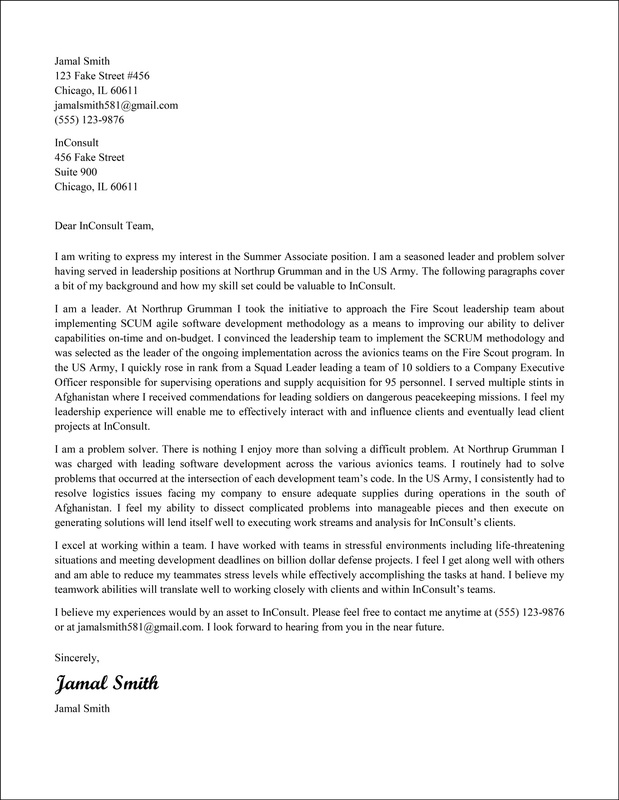 Paragraph 4: Finally, the candidate writes about his leadership positions on advisory boards and mentorship programs. Here, the candidate shows that not only will he be an excellent teacher, but that he will also be a committed faculty member. He mentions the school’s specific programs and teams that he is qualified to advise, and expresses his interest in advising the school’s Philosophy Club. Paragraph 5: A brief conclusion in which the candidate thanks the reader for his or her consideration, and writes that he is looking forward to a response. -Include extensive anecdotal stories or irrelevant information. -Write a cover letter without paying attention to structure, style, and flow from one idea to another. -Brainstorm before writing your cover letter and consider how your strengths and expertise make you an ideal candidate. -Write an outline that will help you organize your letter, paragraph by paragraph. -Make sure that every sentence works to portray you as a qualified and compelling candidate. -Research the position and make sure to include specific details about the company. 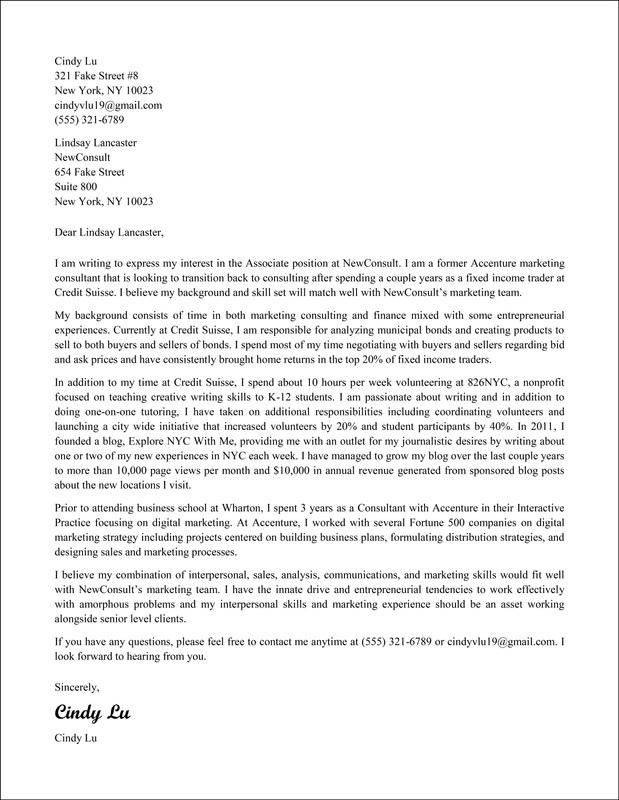 Both styles of cover letters can lead to success, so the most important factor is deciding which will be more conducive to highlighting your skills. Regardless of which you choose, remember that a cover letter is a chance to prove your professionalism, expertise, and enthusiasm. By staying organized and making sure that your cover letter is focused and well structured, you will position yourself as a professional candidate prepared for the rigors of this new job.